Of course, if we can, we like to see our young Korean athletes win many medals at the Games, but the most important thing what Korean wants is to have the proud Korea correctly appreciated by the world and many visiting friends. Biased and unfriendly views on Korea and Koreans of the past, was what we wanted to correct by means of hosting the Games. Ever sensitive to their international image, South Koreans are particularly angry about any coverage they deem negative because they see the Olympics more as a potential public relations bonanza than a sports event. 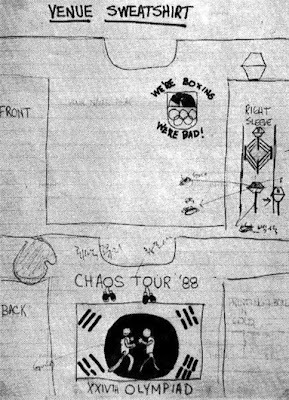 In the run up to the 1988 Seoul Olympics, the good news stories were outnumbered by tales of dog soup, tear gas, and North Korean terrorists. But for us it was all good copy, and the number of journalists in Seoul rose steadily as the September 17 - October 2 games approached. Wire-service reinforcements including me landed about six months ahead of the Olympics. "The stories we wrote tended to be unflattering," said Bryan Matthews, who was a member of the Burson-Marstellar PR team hired by the Seoul Olympic Organizing Committee. "Most were about security and potentially negative issues," he said. "It became a bit frustrating. People were focusing on what could go wrong."[...] Bryan and partner Bill Rylance, dreamed up a scheme to generate good copy on the Olympics. They would allow 30 foreign correspondents - including 30 based in Seoul - to take part in the traditional Olympic torch relay. an Olympic icon by default when it was used by the Seoul Foreign Correspondents' Club in an advertising campaign to attract business. More than 11,000 journalists were in Seoul to cover the games, and the SFCC thought it would be an ideal opportunity to cash in by inviting them to spend their per diems at the club bar. So the club printed up an advertising poster and pasted it up around the residence for Olympic journalists in southern Seoul. It showed the Washington Post's Tokyo correspondent John Burgess sitting on a wall outside the Chosun Hotel in the middle of a student riot, wearing a gas mask and balancing a laptop on his knees as the tear gas wafted around his head. The poster displeased the Korean Overseas Information Service. "KOIS went mad," said SFCC president Mike Breen. "They accused us of trying to destroy the finest moment in Korean history. Our explanation that it was supposed to whimsical and funny was not appreciated. The poster was torn down and replaced with the one of Paul carrying the Olympic torch." Yet many Koreans say the Olympics may mark a first step toward assuaging the resentment born of years when foreign occupiers disparaged Korean culture. The Olympics, many hope, can show the scoffers that South Korea is more than a nation of grocers and carmakers and no longer the land of Pork Chop Hill and M.A.S.H. - the Korean War battle and television show that imprinted images of Korean poverty and chaos on America's consciousness. "For Koreans, this is an event through which they can remedy the damage to their national pride," said Lim Hy Sop, professor of sociology at Korea University. "Korea is known to the people as a world as a country that went through the Korean War and only recently achieved economic development. But Koreans are eager to make the people of the world know that Korea is also a country of long cultural tradition. In terms of political and military strength, we may still be small and weak. But when you talk about culture, we are not inferior to any other country." 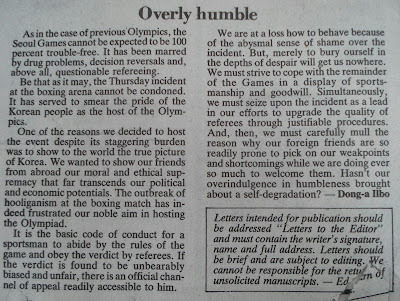 Indeed, the Olympics are being hosted by a nation that feels world applause is long overdue. South Korea's extraordinary economic growth and recent progress toward democracy are fueling a long-nurtured nationalism. "You Americans look down on us -you think of us as low-educated and savage," said C. D. Chang, a 31-year-old travel agent. "I hope the Olympics can change that." We must carefully mull the reason why our foreign friends are so readily prone to pick on our weak points and shortcomings while we are doing ever so much to welcome them. Hasn't our overindulgence in humbleness brought about a self-degradation? Police and Seoul newspapers said Monday they have been flooded with calls from irate people demanding the two Americans receive prison sentences. Newpapers, which referred to the incident under the headline ''Ugly Americans,'' said many readers were calling to complain, and the publications backed the calls for tough treatment. The newspapers continued to bristle with denunciations of U.S. press coverage of the Olympics and South Korea. Commentators charged the U.S. media was trying to blacken the nation's image. ''How is NBC, which reported the momentary violent act in the boxing in such a manner, going to explain the theft case involving athletes from its own country?'' Joong-Ang Ilbo said. The boxing incident was extensively covered by television around the world. But NBC is the only foreign network seen in South Korea, where it is shown on a U.S. military network. As is pointed out here, NBC also stood out for other reasons: "To cover the story, NBC will send more than 1,100 people to Seoul, including about 500 engineers, 70 cameramen, 60 directors and 60 producers." That makes up 10% of the 11,000 journalists who were there. Koreans can watch NBC coverage live on the American military station here, although many of those questioned said their reaction was based on South Korean news reports and hearsay. Some of the ill feeling clearly results from high expectations of a country South Koreans long regarded as a benevolent patron. 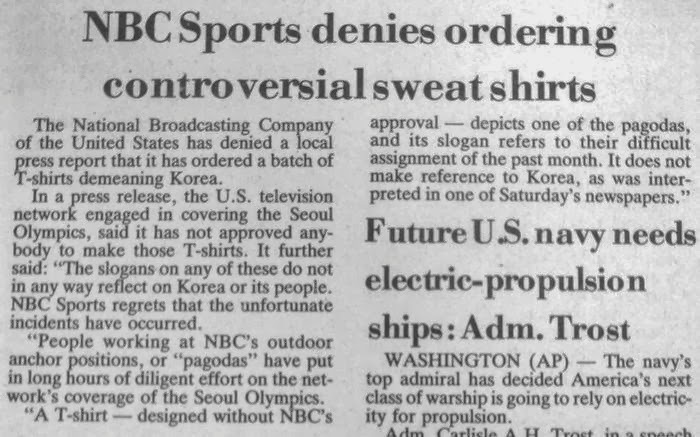 In addition to some admiring portraits of South Korean economic and political progress, NBC has broadcast reports prepared by its news and sports divisions on Korean sweatshops, squatters forced from their homes as Seoul prepared for the Olympics, urban poor, prostitutes, and adoption of Korean children by foreigners. Bob Eaton, executive producer for the Olympics for NBC News, and Michael Weisman, executive producer for NBC Sports, said they had received complaints about several of the broadcasts. Regarding the decision to shelve a planned program on Korean women that was scheduled Monday night, Kevin Monaghan, an NBC spokesman, said: "We know people are very sensitive now about features involving Korea, and the piece wouldn't have been a positive piece." Make no mistake, the media was leading the charge to make Koreans feel aggrieved, insulted, and ready to take action (and, of course, some did take physical action in Itaewon in at least three different cases). We have many questions we would like to ask NBC. If we visited big cities like San Francisco and New York and went to Harlem and reported extensively on beggars, homosexuals, drunks and drug addicts and played them up, how would you feel? If the Chinese and Soviet media go from shouting the perennial "The US is a country swarming with beggars, gangsters and fraudsters" to "Now American imperialism will collapse," the NBC reporting team would convince and help the Chinese and Soviet people to understand the truth about America as well. The third sentence in the second paragraph above featured in an AP article, though the word 'homosexuals' was omitted. 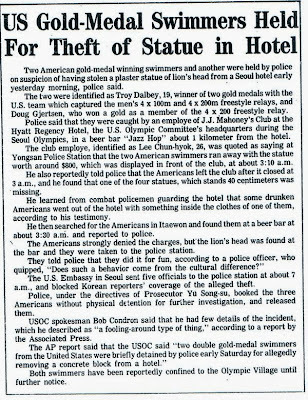 Upon hearing of the three swimmers, including gold medalists, caught and turned over to police for stealing a sculpture from a hotel, the US Olympic Committee reacted as if it was not a big deal. However, the US Olympic Committee did not let its athletes know about it and kept it quiet among its officials. A Korean volunteer for the US Olympic Committee said, "Last time when the violent incident in the boxing area happened, the US Olympic Committee was deluged with phone calls from irate citizens calling to complain about NBC's attitude towards broadcasting." "This incident provides a chance to correct the arrogant attitude of Americans." 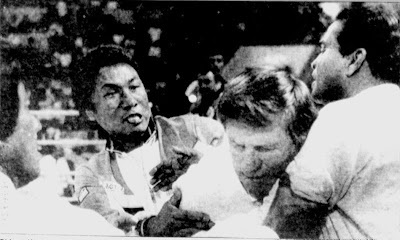 "NBC's unfair concealment, only reports on 'violence'"
Korean newspapers and politicians have criticized the biased and distorted reporting by foreign media about Korea related to the violence that occurred in the boxing arena on the 22nd. 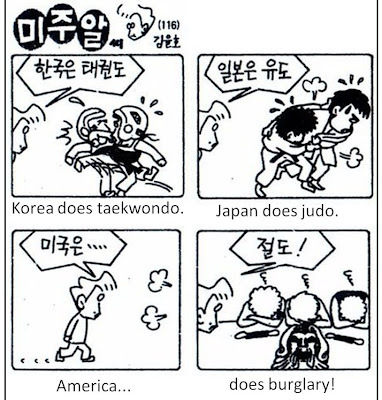 In the case of the boxing arena incident, major Korean newspapers criticized the foreign media's exaggerated reports which made no mention of the referee's fairness, in particular the American broadcaster NBC, which is intent on reporting on the negative aspects of Korea, including the boxing incident. 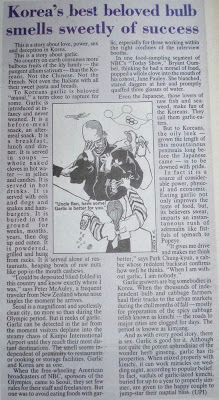 One newspaper pointed out that "In introducing Seoul, NBC reports exaggerated its dark side such as dog meat soup and dirty markets in slum areas." A prominent member of Korea's ruling Democratic Justice Party expressed regret at NBC's coverage, warning that "If NBC continues with its distorted reports about Korea, it will further inflame the anti-American sentiment already spreading among the Korean people." Meanwhile, South Korea's media criticized Japanese newspapers for exaggerated reports about the possibility of terrorist threats by the Japanese Red Army during the Olympics. A deluge of angry phone calls saying "NBC is slandering us"
After reporting the robbery by American swimmers, including an Olympic gold medalist, on September 24, every broadcaster and newspaper received a torrent of phone calls from citizens condemning the American athletes. 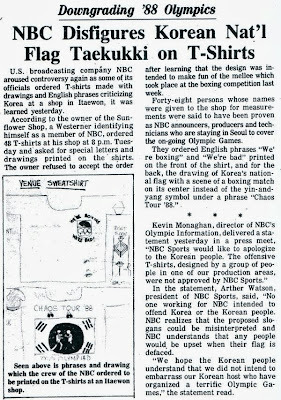 In indignation and agitation, citizens with the same voice are standing up to the American network NBC, which gave more than one hour of live coverage to the disturbance caused by some Korean athletes and coaches whose dissatisfaction over an Olympic boxing preliminary match decision had boiled over, coverage which criticized the incident as if the entire Korean people had taken part. 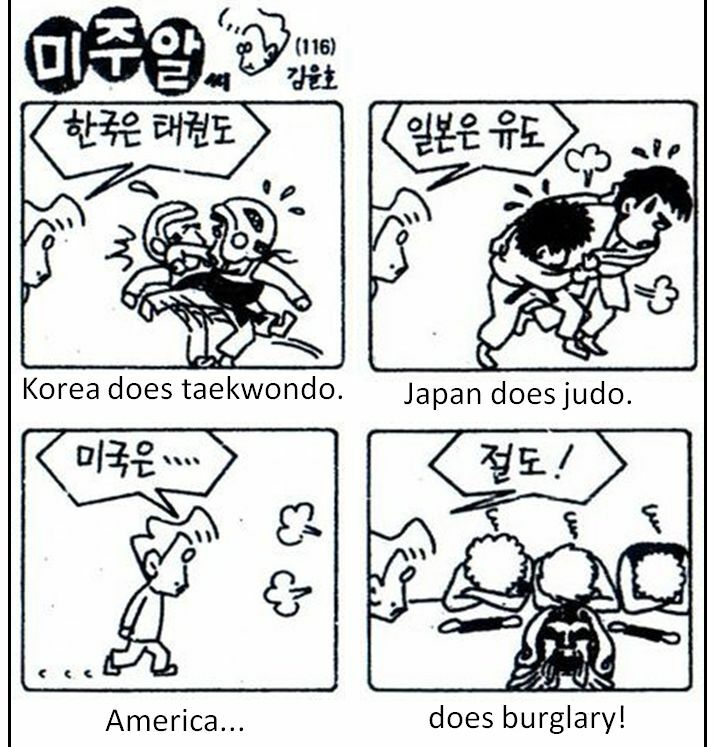 Readers said, "Korea's media should also spotlight crimes by Americans." As well, some readers suggested as a title for such a newspaper article, "Hideous crimes are a reflection of the American national character." 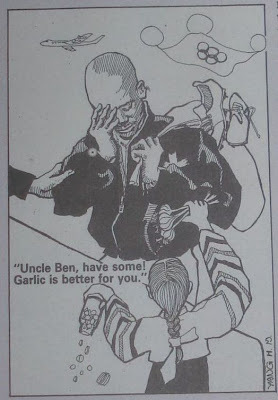 When it became known that on that day the American press issued only very brief reports about the incident, the US Embassy was deluged with critical phone calls which asked, "Why isn't the American media covering this incident to the same degree they did the boxing arena protest incident?" One citizen in his forties drove around Gwanghwamun intersection with a large piece of paper pasted to the back window of his car which read "Strip the thieves of their gold medals!" Such 'anger' among the people is due to distorted reports about Korea by the American media, including NBC, which haven't said a word about the incident. NBC, which has exclusive rights to the Olympics in the US, came early to Korea for the opening and broadcast special reports in the US such as "The truth about the trafficking of women in Itaewon" and "Black marketing of goods from USFK PXs." As well, rather than look at the Olympic preparations, it focuses on the dark side and looks at things in a negative light, such as on the 23rd when it showed a meeting of Sechongryeon (Seoul Student Alliance) at Korea University and introduced [Americans to] Korean red-light districts. 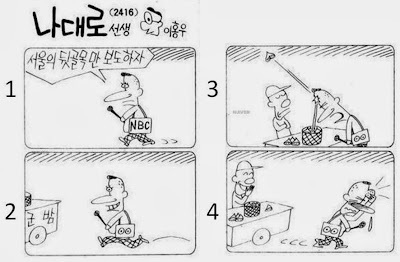 Some Korean Americans made international calls to the Donga Ilbo and said that NBC's broadcasts in the US, with such distorted, biased reports, were significantly lowering the diginity and morale of Korea Americans. At this point, the angry voices of the people say they can't tell whether NBC has come to broadcast the Olympics or to slander the Olympic hosts. Not long ago, teenage children of US soldiers caused controversy when they group-assaulted a pregnant Korean housewife. As well, on the 24th four drunk US soldiers got a free ride to Itaewon and fled, and when the driver chased them, demanding the fare, they pulled out a knife and badly injured him. Such crimes as these by Americans which arouse national repulsion are increasing. These incidents happening one after another during the Olympics are casting a dark shadow on Korean-American relations. The American press has to realize that their distorted reporting severely hurting the pride and self respect of Korean citizens who for 7 years have endured all kinds of difficulties together to prepare for the Olympics and is causing anti-American sentiment to become widespread. Well, Koreans might be shocked to realize that NBC had actually first formed back in the 1920s hoping to one day slander Korea as an Olympic host - in fact, it was its driving aim. Or not. A majority of Koreans may feel that Korea owes the United states much for what it is now. It seems apparent, however, that this perception is being eroded at a fast pace. One incident that caused a slide in the US reputation among Koreans involves two teenagers, both children of US military officials stationed in Seoul. Earlier this month, they allegedly beat a pregnant woman waiting for her husband to return home from his office. The two American teens may not represent the whole United States. Nevertheless, they left an indelible image of an arrogant America in the minds of many Koreans, who asked how dare they punch and slap a defenceless woman in a land far from their home. Is it the same nation that went into a secret pact with Japan (the Katsura –Taft agreement of 1905), permitting Japan to annex Korea five years later in exchange for its unhampered dominance over the Philippines? Or is it the nation which poured billions of dollars into Korea to help it stand on its own feet after independence from Japanese colonial rule? The United States, now standing between these two historical facts, is not as appealing to Koreans now as it was in the past. [Y]ou can be sure that rather than moving along "Korea" is simply adding this to its elephantine memory of slights and insults to be avenged in a manner wildly disproportionate to the actual offense. It may be pushed onto the back burner for awhile, but beware the return of the repressed. Once the media began to prescribe outrage as an antidote to the humiliation that they said people were supposed to be feeling ("many of those questioned said their reaction was based on South Korean news reports and hearsay"), even events as far back as Taft-Katsura and the Sinmi Yangyo (of 1871 - remember this article?) were fair game to reach back to to throw on the humiliation bonfire, and it was from here, that any action by an American (or by NBC) that could be construed as an insult to the Korean people would be seized upon by the media to cultivate outrage. And with events of the the second week of the Olympics, from taxi-fleeing soldiers to a taxi-kicking runner to insulting-T-shirt-ordering NBC staffers, there were lots of sparks for papers like the Donga Ilbo to take into their hands and kindle into something outrageous. In doing so, they appeared to hit upon a cathartic way for the populace to "remedy the damage to their national pride." Not that this should be so surprising. With the easing up of restrictions on the media after democratization began, they not only suddenly had the freedom to say more than they could previously, they had a safe outlet in targeting the US. By the end of the week, however, even the politicians who had joined in the 'Yankee bashing' had begun to realize that things were going too far. 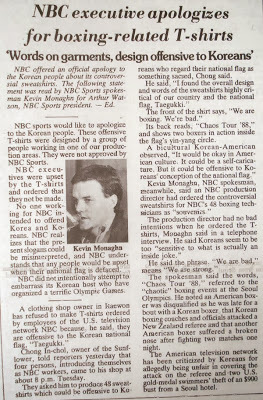 "Put on the phrase 'chaotic 88 performance'"
Some employees of the American broadcaster NBC, which came to Korea to cover the Olympics, are causing controversy due to a group t-shirt order they made which has writing in English denigrating Korea. At 8pm on September 27, Jack Sedrak and three other American employees of NBC came to the Sunflower clothing store owned by Jeong In-cheol (28) in Seoul's Itaewon-dong and ordered 48 T-shirts to be made by October 1, but they asked to have a design and English lettering put on them which denigrated Korea. 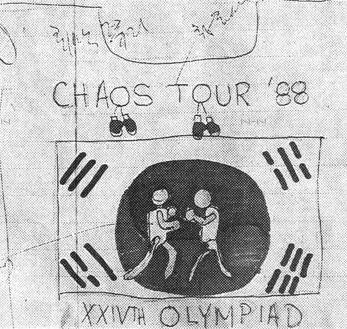 The design of the shirt they ordered was titled 'Olympic venue cheap t-shirt' and they wanted written on the back the title 'chaotic 88 performance' above the Korean flag with a boxers having a match in the center, and on the front the NBC peacock pattern and 'we are boxing,' 'we are bad' written in English. Mr. Jeong said, "The design they ordered gives the impression that all Koreans had acknowledged the ruckus in the boxing arena during the Olympics to be a mistake, so I refused to make them." The list of 48 people ordering the t-shirt that Mr. Jeong had was confirmed to include NBC reporters, PDs, and engineers. Even derogatory phrases in English... The order was rejected at 6 places"
In another development today, city officials said some 500 Olympic flags have been stolen or damaged near U.S. Army headquarters in Seoul. Local authorities, who declined to be named, said the flags had disappeared or been damaged since late July in the area around the headquarters of the U.S. 8th Army in the Yongsang district. Asked if they had any evidence that Americans took the flags, officials said they received reports from citizens that Americans were seen ripping down the flags. 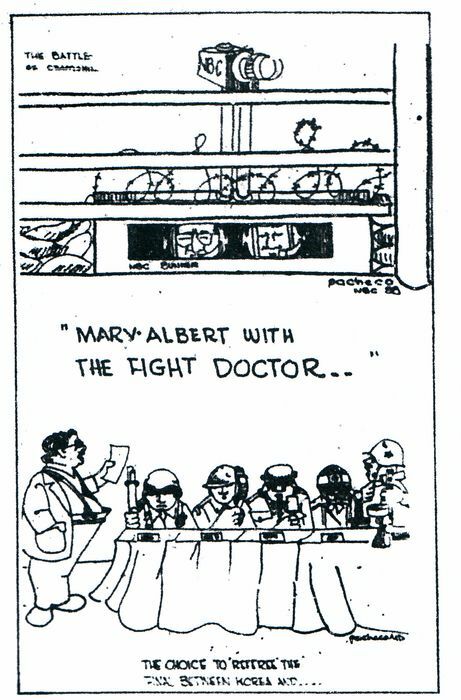 In another wrinkle to the boxing incident, the English- language Korea Times obtained and published two cartoons Thursday by Miami physician Ferdie Pacheco, who works as a boxing commentator for NBC. 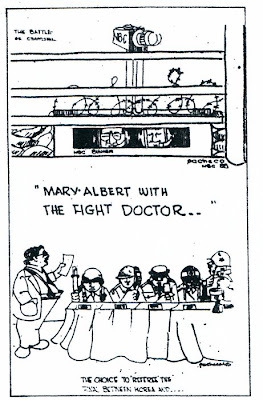 One of Pacheco's cartoons showed NBC boxing commentators in a bunker, surrounded by barbed wire at ringside. Another showed referees dressed in helmets and body armor. The cartoons were displayed at the Main Press Center where thousands of journalists could see them. Have you no respect, NBC? As Ian Baruma put it, "NBC was accused [...] even of insulting the "Korean identity." One wonders whether Bryant Gumbel even knows what the Korean identity is, let alone desires to insult it. But perhaps that was the problem: he should have been more informed about Koreans." 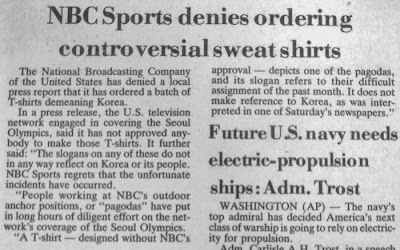 American employees of the broadcaster NBC have once again caused controversy after some shirts they ordered and had made which have designs denigrating Korea and crude phrases were confirmed. 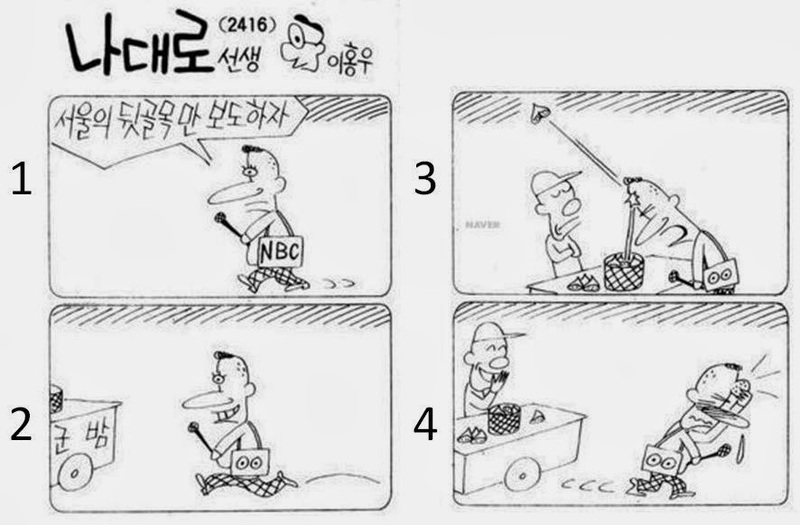 Going back to the Donga Ilbo at the top of this post, it appeared on page 15 of the September 28 edition, and was surrounded by three other negative stories about Americans: One was about Johnny Gray's taxi run-in, another was an update on the swimmers, and the other was this cartoon, which shows what happens when an NBC reporter, who says "Let's report only about Seoul's back alleys," runs into a roasted chestnut vendor. 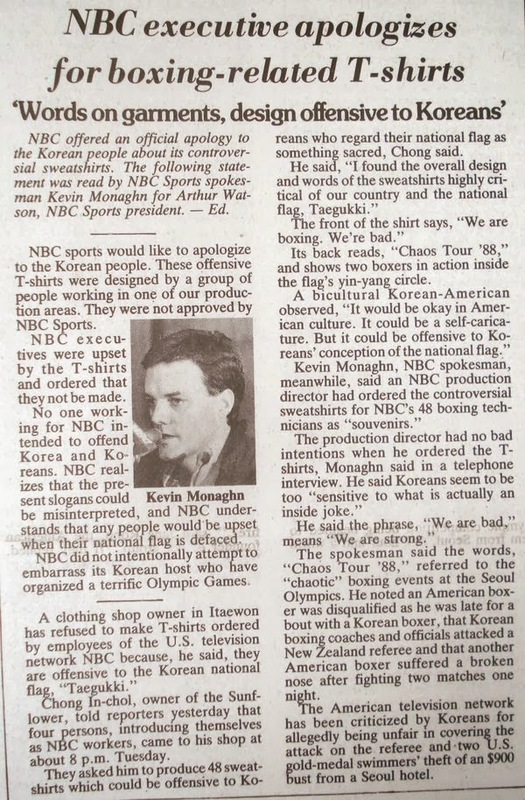 "We Hate NBC" placards have been flashed at sporting events by Korean spectators. 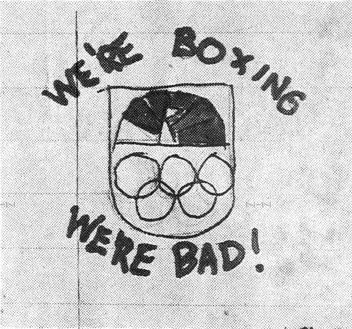 U.S. boxers are booed, and when the U.S. basketball team lost to the Soviet Union on Wednesday, the Korean audience broke into wild cheers. That would be the same USSR that blew Korean Air flight 007 out of the sky five years earlier, killing 269 people, just to keep track. I mentioned some time ago I was doing research about the Olympics to an expat who was here at the time and he just shook his head and said, "The Olympics were horrible. 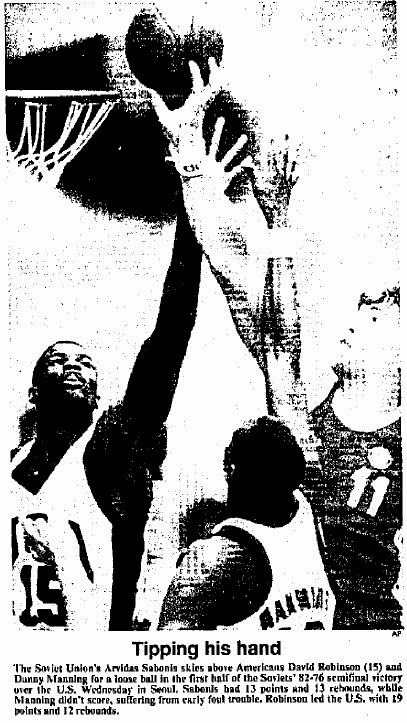 They cheered for the Soviets, so I cheered for Japan." 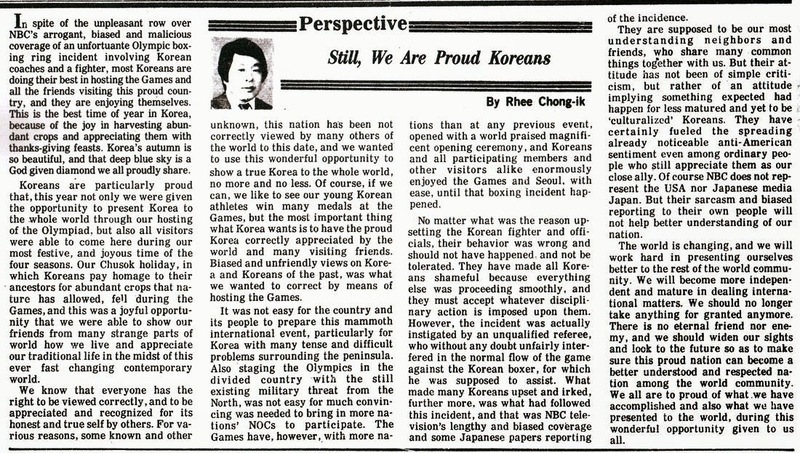 And indeed, there were lots of angry letters in the Korea Times, and one AP article opened with "From the newspaper headlines and the high-decibel booing of the crowds, you would think Yankee-bashing had become an Olympic sport." Those are for another day, however. At 9:50pm on September 27 in front of Finland Sauna in Itaewon in Seoul's Yongsan-gu, American Olympic 800m runner Johnny Gray (28) used his foot to dent the door of Seoul taxi number 4pa4693, driven by Oh Byeong-yang (45), and was taken to the police. According to Mr. Oh, Gray and eight others were standing in the middle of the street and when he honked at them to get them to move, Gray suddenly kicked the front right-hand side door and dented it. Though Mr. Oh protested from his car, Gray and the others ignored him and ran off, and they were caught by riot police working in the area. Police received a confirmation of Gray's identity from Vincent, the U.S. Embassy consular officer dealing with the incident, and released Gray early in the morning on the 28th. Police plan to summon Gray today or tomorrow to investigate further. Biographical information about Johnny Gray can be found here. U.S. Olympic runner Johnny L. Gray was arrested for kicking a taxi and is the third American athlete to be detained for unruly behavior in the past week, police said today. Authorities said Gray was seized by police after he became involved in an argument with a taxi driver Tuesday night. The driver said he blew his horn at Gray because the runner was blocking the road. Gray kicked the taxi and then tried to flee, but was caught by police, authorities said. Gray was questioned at a police station, then released in the custody of U.S. Embassy officials, police said. Ron Rowan, an attorney for the U.S. Olympic Committee, said Gray and three unidentified companions complained that the cab was driving dangerously and almost hit them. Gray was acting in self-defense, Rowan said. The taxi driver chased the Americans with an object that appeared to be a tire iron, but did not hit anyone before police intervened and detained Gray, Rowan said. Rowan said the driver had been compensated for the damage. The case was forwarded to the Public Prosecutor for possible action on charges of violent assault, police said. But the case was considered minor and it was unlikely that any major action would be taken against Gray, a police officer said. Gray finished fifth in the 800-meter run. He won the U.S. Olympic trials in the event and was national champion in 1985, 1986 and 1987. There was certainly no mention of a tire iron in the Donga Ilbo report. And charging someone with 'violent assault' for kicking a car? How is anyone supposed to take that seriously? As it was, the case began and ended that night and went no further. But for a first hand account of what happened, the The Atlanta Journal once again interviewed a witness to what happened that night in an October 1, 1988 article titled "McKay Puts in His Time and Then Flies Home, Happy to Leave Seoul." The article is based on an interview with Anthony McKay, who ran two heats in the men's 4x400 relay in Seoul and was with Gray that night. Socially speaking, McKay isn't exactly planning on staying and working for the Seoul Chamber of Commerce. He was in Itaewon, Seoul's No. 1 shopping district, with half-miler Johnny Gray the night Gray was arrested for an altercation with a taxi driver. McKay said the incident was misrepresented to the police and misreported by Seoul's newspapers, and generally frightening. "There were eight of us," said McKay. "I was there with my mother. Johnny was there with his wife. Dennis Mitchell's mother was there. It was around 10 p.m. and we were just shopping around. "Next thing we know this taxi is coming up over the curb, I guess to make a U-turn. Johnny put his foot out to stop the cab from going through us. That's when the driver jumped out, opened his trunk and pulled out a lead pipe." McKay said some Koreans nearby began chasing the Americans. He said Mitchell tried to keep people from grabbing Gray, who was wearing a U.S.A. jacket. 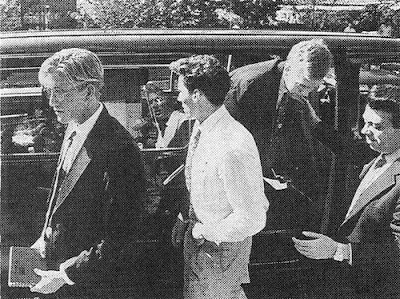 McKay accompanied Gray to the police station where McKay said they sat for five hours. At 4 a.m. they were told to go home, McKay said, but not until they'd paid 75,000 Korean won for damage done to the taxi. That's approximately $100. "You just get an anti-American sense here," said McKay. "A lot of things have been nice here but some of it I won't miss." One more time: "McKay said some Koreans nearby began chasing the Americans." Which had happened early in the morning and in the evening of the 24th in Itaewon as well (and it could be argued that the same had happened in the boxing ring in Jamsil on the 22nd). Of course, the involvement of 'concerned citizens' in the Itaewon incidents was omitted from most reports, and though this, like the incident with the soldiers, ended soon after it began, unlike the swimmers' ordeal, it served to add more fuel to the anti-American fire. In fact the Donga Ilbo article above was on the same page as another article involving Itaewon and insults to the Korean people by NBC. We'll save that tale for tomorrow. 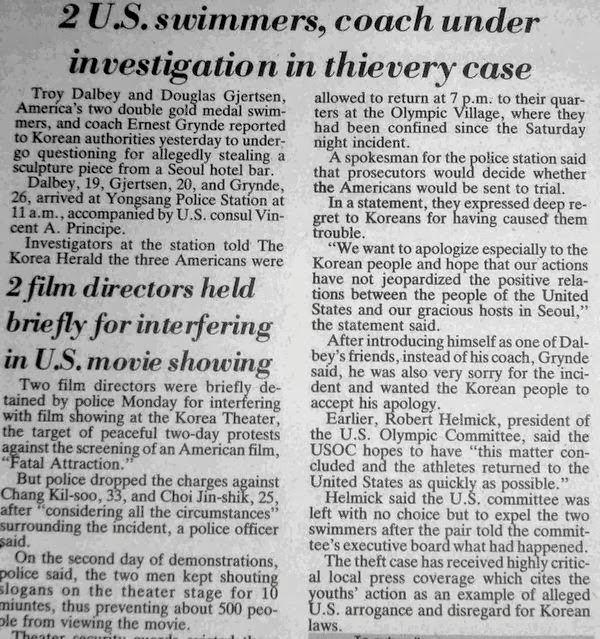 On September 26, 1988, in an edition of the Donga Ilbo with no less than six articles reporting crimes by Americans or railing against American arrogance, the following article was published detailing an incident which took place in Itaewon on September 24, less than 20 hours after the swimmers had been caught by police after being attacked by a mob. Stabbed pursuing citizens saying "If you come close I'll kill you"
At 8:30 in the evening on the 24th, on the street in front of Madonna Disco Club at 131 Itaewon-dong, Yongsan-gu, four American soldiers, including 8th Army Corporal Anthony Spence (20), failed to pay the taxi fare after being driven from Dongducheon Township in Gyeonggi-do by driver Oh Hui-sik in Seoul taxi number 8751, and fled, and when chased by Oh and other citizens they brandished a knife and used violence against them. Three of the four were caught by police. According to driver Oh, at 7:20 pm that night they promised to pay him 15,000 won to drive them from the Yurim Hotel in Dongducheon Township to Itaewon, and in the car they drank two bottles of whiskey snorted a hallucigenic-looking powder up their noses and kept making a lot of noise. After arriving in Itaewon at 8:20 and not paying the fare and getting out of the taxi, driver Oh protested and they swung a bag containing two whiskey bottles at him and hit him in the head and fled in the direction of Itaewon market. Mr. Oh and citizens who saw the spectacle chased after them together, following about 30 meters behind, and in the market they kicked over and sent flying articles for sale in the street stalls, and one pulled out a 15cm jackknife he was carrying and threatened them, saying "If you come near me I'll kill you." Because of this Mr. Oh and another citizen had their hand injured. After inflicting violence upon Mr. Oh and citizens the American soldiers fled in the direction of the nearby US military base, and three of them of them were caught by three conscripted policement from Yongsan police station and around 20 citizens, and then were turned over to authorities from the US 8th Army. Meanwhile, the three US soldiers arrested by police have been summoned to come in on the morning of the 26th to investigate the precise details of the case. 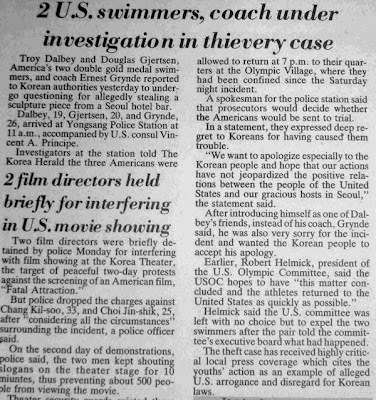 An AP article on the 26th describing the media fallout of the swimmer's theft incident mentioned that "Papers carried articles Monday playing up recent minor incidents, including some American soldiers refusing to pay a taxi driver." It's interesting what's getting omitted in the different articles. Considering the aroused anti-US passions at the time and the fact that it's the Korean media on a "the nation has been insulted" and xenophobic high, I expect that there's some exaggeration (or even fabrication) regarding the story. But the AP article makes no mention of a knife or the drug allegations, while the Herald leaves out the pursuit of justice by a mob concerned citizens, something that happened just hours earlier in Itaewon (and could be argued to have happened in the boxing ring days earlier to referee Keith Walker), and which would happen more than once in the next few weeks. Both English language outlets are leaving out purported unsavoury aspects of the incident regarding their own nationals as reported in the Donga Ilbo report. It's mentioned, of course, that the soldiers were turned over to USFK authorities after their arrests. Within weeks the prosecution would begin to deal with such crimes in a different manner, and calls for changes to SOFA - the first since the agreement was signed in 1966, I believe - would begin to be made in the media and by politicians. Well, I wish I had discovered this piece a few days ago - now we can see the story of the swimmers from a Korean witness's point of view. "Taking a 30kg statue was a prank?" 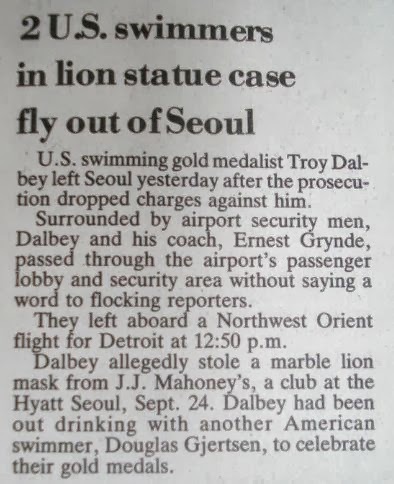 Gu Yu-hoi, the assistant manager of JJ Mahoney's, a leisure club in the basement of the Hyatt hotel, caught the American swimmers who made off with a 630,000 won lion-shaped statue, and is surprised at how the incident has led to a larger problem between the US and Korea than he would have imagined. Mr Gu said that when he was chasing those who made off with the lion statue, more than punishment he was only thinking that he had to get the stolen article back. When they were confronted with the evidence they denied the crime and even at the police box, rather than apologizing they acted brazenly, and the American military police who were dispatched also strode in arrogantly, which made him furious. Q: How were they when they arrived at the club? A: They came in at 1:00am on the 24th with a Korean woman in her early twenties, but didn't seem drunk. Q: What did they do as they drank? A: They shared a bottle of Majuang Wine between the four of them, laid back in their chairs and stretched out their legs, and acted as they pleased, hitting two glasses together and breaking them, and they received a warning. Q: And at the bar in Itaewon where they were caught, they denied that they had stolen it? 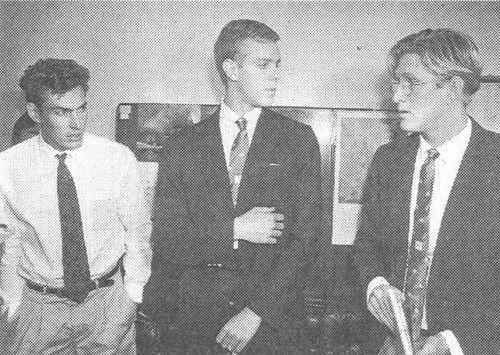 A: Though she insisted they hadn't come to our club we persuaded the Korean girl and she just barely admitted it. 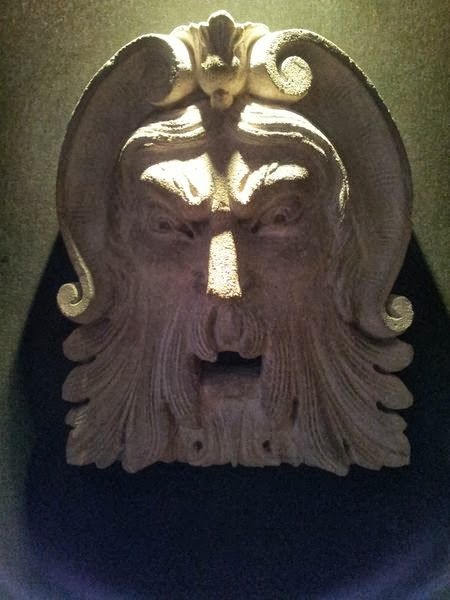 I found the statue which they had hidden in a music room and produced a photo of the statue previously taken in preparation for a situation like this. Then they started hurling all kinds of obscenities at me and ran off, and we dragged them down as they were getting into a taxi. Q: What kind of action did you take after that? A: We immediately reported them to the nearby Itaewon police box and then two American military police and one Katusa arrived and as they tried to take [the swimmers] away a scuffle started for a moment and they were dragged off to the police box. Q: How did they act at the police box? A: Up to that point if they had just showed regret and apologized we wouldn't have wanted to take the issue further, but the American military police were threatening and contemptuous towards us, saying "We'll accuse you of unlawful interference." They spit and slept on the police box floor and made me feel humiliated as a Korean. ** The Korean police stood in front of the Americans and covered them, and frustrated [attempts] by reporters to take photographs. Q: What is your reaction to the mass media reports on this? Mr. Gu added, "The Americans said it was a prank but taking a 30kg statue is never a laughing matter." "Arrested for moving a concrete block"
Meanwhile, American media such as AP and ABC News reported the facts of theft by some American athletes completely differently. Early today, it was announced that Dalbey and Doug Gjertsen of Atlanta were taken into police custody for allegedly removing a concrete block from a downtown hotel. Condron said the incident took place at the Hyatt Hotel, the USOC headquarters during the Games and just on the outskirts of Itaewon, the neon- lit strip of tourist shops and bars that has become a magnet for foreign visitors to Seoul. They allegedly removed a concrete block from the hotel, and later returned to the village about 10 miles away, Condron said. 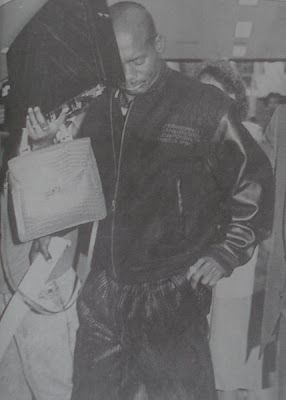 * The article above makes clear Biondi swam the relay race with Dalbey that day, so he likely came to see the mask to see what his teammate had been up to first hand. Gjertsen said a USOC lawyer asked him to apologize in public and he agreed because "Troy would have lost his temper." As well, Mr. Gu also states that, "we dragged them down as they were getting into a taxi," and that "as [the MPs] tried to take [the swimmers] away a scuffle started for a moment." While how the scuffle played out is described rather differently by Gjertsen, the two accounts do agree on a scuffle happening involving the MPs and on the fact that the swimmers were dragged down by at least two Koreans. As for the AP report mentioning the 'concrete block,' it's interesting that its not in their archives, since it was the focus (as we see above) of a great deal of criticism by the Korean media. Below is another AP article from September 24 with more information but still a lot of confusion as to what exactly had happened. I've included links to all seven AP articles in their archives on the incident (and again, I wish I had found these a few days ago!). 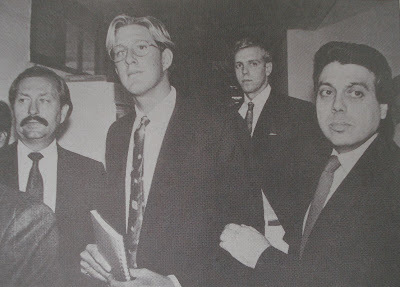 The deluge of anti-American articles which followed this incident will be the topic of an upcoming post. Next however, will be the story of some other Americans caught by police in Itaewon just over 12 hours after the swimmers were caught. When it rained, it poured. Seoul – Canadian sprinter Ben Johnson returned Tuesday to Seoul's Olympic Stadium – 25 years to the day after the steroid-assisted 100m final victory that destroyed his career and reputation. The runner revisited the site of his stunning triumph and downfall to bring an anti-doping message for a sport still struggling to rid itself of banned substance use. “It feels good to be back,” Johnson told AFP as he stepped out onto the track where, at 1:30 pm on September 24, 1988, he lined up for a 100m final that would become known as the “dirtiest race in history”. “This is where history was made,” Johnson said. “Some might call it bad history, but I don't see it that way,” he added. First out of the blocks in the final, Johnson destroyed a field that included his hated rival Carl Lewis and stormed to victory in a world record time of 9.79sec. Three days later he was stripped of his medal, his time and ultimately his career after it was announced that he had tested positive for stanozolol, a banned anabolic steroid. Six of the eight finalists would eventually be implicated in doping scandals, including Lewis, who it was later revealed had tested positive for stimulants at the US Olympic trials. Johnson, 51, has admitted to years of steroid use, but still feels he was unfairly picked out for vilification at a time of widespread drug use in athletics. Ben Johnson, stripped of his 100 meters Olympic crown for drug taking, was caught by the most sophisticated anti-doping technology employed at an international sports event. Spurred on by the International Olympic Committee (IOC) war against drugs, the south Korean Games organizers recruited the country’s top scientists to plan the 1988 campaign. Senior staff from the Korea Advanced Institute of Science and Technology (KAIST), one of the most respected bodies of its kind in Asia, were asked to ensure that the doping controls for the Seoul Games would be foolproof. 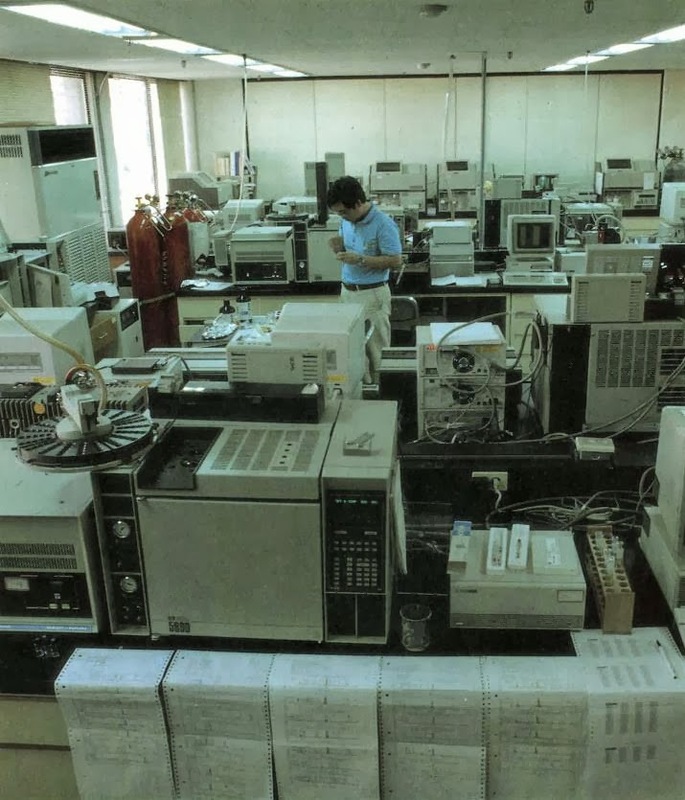 As a practice run, the KAIST scientists were able to apply their technology to the 1986 Asian Games in Seoul. It was the first time that strict drug-testing had been used at an Asian Games. During the Olympics, organizing committee officials have been running the doping control stations at each sports venue and submitting urine samples to KAIST scientists. Johnson, who was tested positive for an anabolic steroid following his world record-breaking victory in Saturday’s Olympic 100 meters final, spent two and a half hours at the control center before producing a urine specimen. KAIST officials said they were investigating whether the delay was significant. 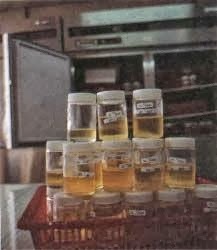 At the time, Johnson said he had difficulty producing a sample because he had urinated immediately prior to the race. 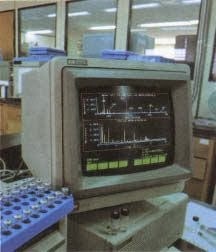 "Dope analyzing equipment at the Doping Control Center." "Samples collected following set procedures for dope testing." "A spectograph's electronic display monitor." "What's so shattering" about Johnson being stripped of his 100-meter gold medal at the Seoul Olympics, the Canadian said, is that it tends to confirm this judgement. He cited television interviews with south Koreans who said, "'It's just what we'd expect from Americans.' They didn’t even distinguish between Canadians and Americans." 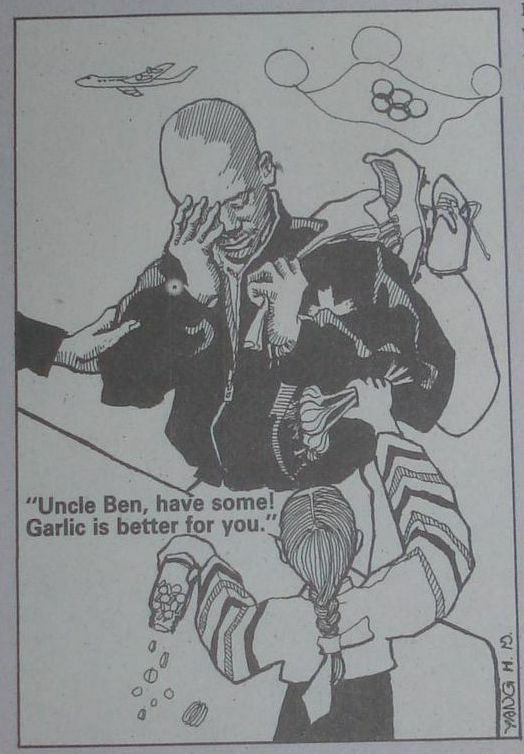 It was used as the basis of an illustration affixed to a UPI article in the Korea Herald on October 1 about Koreans and garlic titled "Korea’s best beloved bulb smells sweetly of success" (love the alliteration). You have to love the pure Korean lass in a hanbok throwing away corrupt foreigner's drugs and offering him a traditional, healthy, Korean stamina booster. 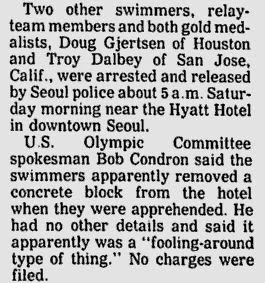 Burglary by American swimming coach. 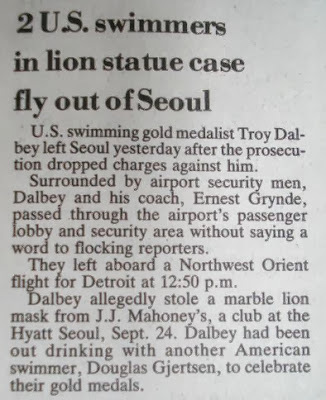 At 3:01 am on September 24 three drunken members of the American Olympic swimming team took advantage of the carelessness of employees of JJ Mahoneys bar at the Hyatt Hotel and stole and made off with a lion-shaped plaster figure hanging in a display case. 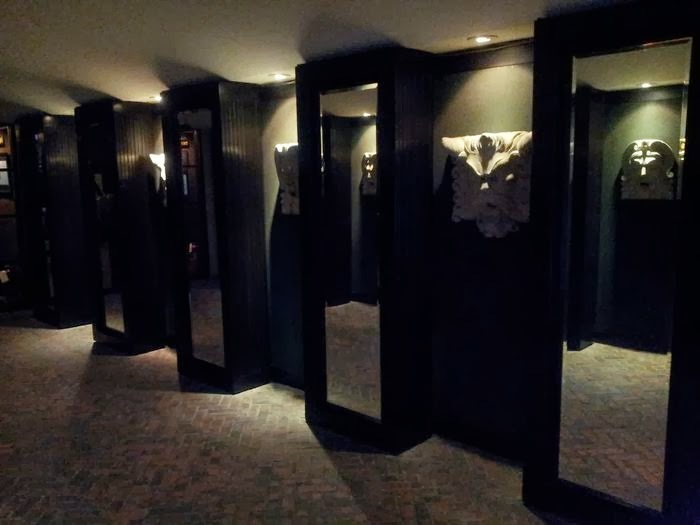 26 year old Lee Jun-hyeok, an employee of JJ Mahoneys who was looking for the statue, caught them drinking at the draft beer bar 'Jazz Hof' in Itaewon, about 600 meters away from the hotel, and turned them over to police. 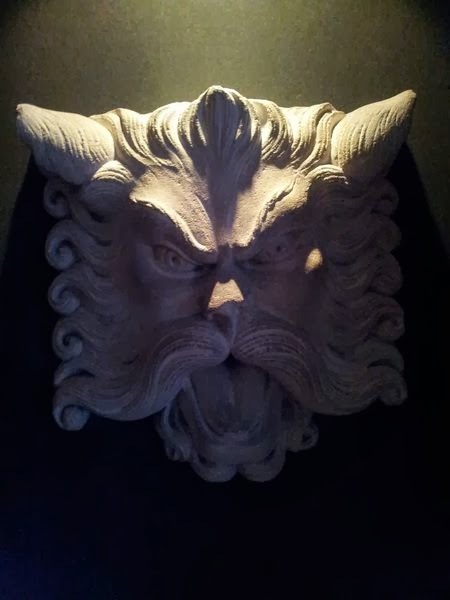 At the police station they stubbornly denied it, saying "It wasn’t theft" and "We'll charge you instead" and caused a disturbance, saying of the recovered stolen statue, "It looked so fantastic, it was done just as a joke." As well, five Americans from the US embassy and US military who had gathered at the Yongsan police station upon hearing the news of their arrest prevented reporters from approaching them and reporting on it, and demanded that they be "unconditionally released for their next swimming competition." The 'concrete block' crack was part of what Koreans quickly asserted was the US media ignoring a serious crime, unlike when American news reports focused so much on the 'unfortunate' boxing 'ruckus' two days before the American swimmers were arrested. We'll return to that in the next post. Cute. (It all rhymes in Korean.) You may be able to detect a hint of moral superiority. But these are not ordinary circumstances. The Korean press focused an outraged reaction on the swimmers, always mentioning that NBC showed the boxing fracas time and time again while skipping lightly over the crime committed by the U.S. swimmers. The Korean media photographed and filmed the visit, and they appeared on TV often. On September 29 the Herald reported that their fate would be decided that day. 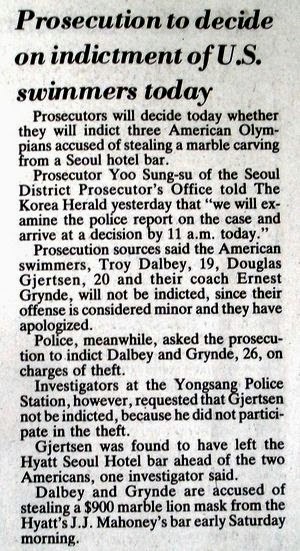 The prosecution will not prosecute two US gold medal swimmers for stealing a marble carving from a Seoul hotel, the Korea Herald has learned. Prosecutor Yoo Sung-su of the Seoul District Prosecutor’s Office said the formal announcement will be made today. 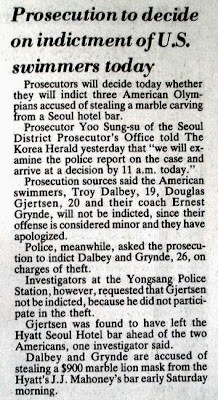 Swimmers Troy Dalbey, 19, Douglas Gjertsen, 20, and their coach Ernest Grynde, 26, were releaed by police Tuesday after a six hour interrogation amid growing public and media criticism of some unruly US athletes. Grynde was freed without any charge. Prosecutors said they chose not to press charges against the swimmers because their offense is considered minor and they have publicly apologized. Yoo said the Americans will be allowed to go home. "The decision was made after hours of discussions by prosecutors and government officials, not by myself, because the case has snowballed into a diplomatic incident between Korea and the United States from what they called a ‘prank,’” he said. I'm not sure when Gjertsen left. While that seems to end the tale, what is interesting is Gjertsen's version of what happened the night the mask was taken, and how they came to be in police custody. On October 3, the day after the Olympics ended, the Atlanta Journal - Gjertsen's hometown paper - interviewed him in an article titled "Gjertsen's Night on Town Becomes Weeklong Ordeal; Swimmer Tells How Prank Branded Him 'Ugly American.'" Two things are noteworthy about this interview. First, the three people involved in the incident were not allowed to talk to the press in Korea; and second, Gjertsen was the one person caught up in the incident who wasn't involved in the theft of the mask, which makes it less likely his testimony would be self-serving. Gjertsen, a student at the University of Texas, had earlier won a gold medal as a part of the U.S. men's 800-meter relay team. Dalbey, who attended BYU and now lives in San Jose, had won a gold on that 800-meter relay team and had added a second gold medal Friday night in the 400-meter relay. Gjertsen and Dalbey had both finished competing. Gjertsen had won an unexpected second gold medal because he had been asked to swim in the 400-meter relay preliminaries [as an alternate]. "I was so excited after winning the relay, I couldn't have been feeling better," he said. 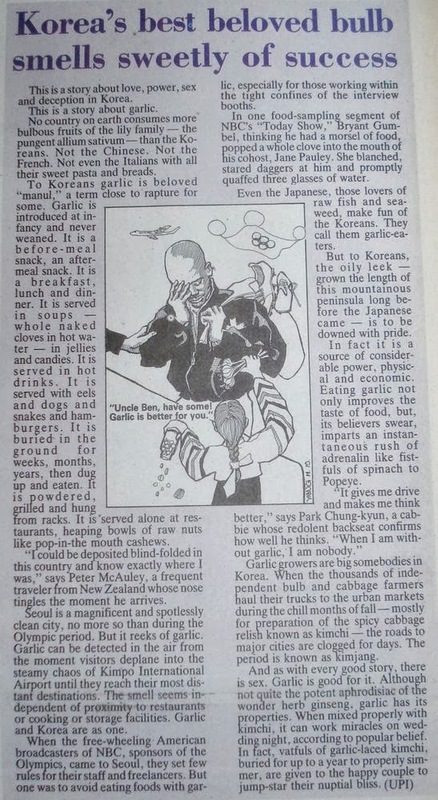 "With Troy's friend, Ernest Glenn Mangum, who lives in Tokyo [see the discussion of his identity in the LA Times article], we said, `Why don't we go down to Itaewon (the shopping district) tonight and do some of the things they've been telling us not to do - like eat.' We had been eating this crud food at the village. I had rice for 15 days straight for lunch and dinner, with some kind of various topping." Mangum had met a Korean girl named Kim on the subway who offered to show them around. "You're in a foreign country, all you know how to say is thank you and hello," said Gjertsen. "To have someone with you felt a lot better. They ate at a hibachi grill, then went to a couple of bars but didn't like the atmosphere. 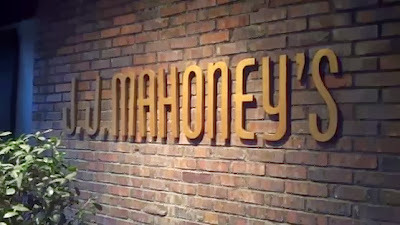 Kim suggested the Hyatt, which had a place called J.J. Mahoney's, a more American bar, though "a far cry from what I'd ever been used to," Gjertsen said. They stayed an hour, then Gjertsen was tired and ready to go. "It had been quite a couple of days and I was just about out of juice," he said. Gjertsen and Kim left, and went through an open-air walkway with the cement masks on the wall. They got a cab and told Dalbey and Mangum to meet them at Itaewon. "Lo and behold, they show up with this thing," Gjertsen said. "They just had it wrapped in a jeans jacket. It was 2 feet by 2 feet, but oblong. and weighed 50 or 60 pounds. They had to take turns carrying it. "It looked like a hunk of concrete to me. They said, `Look what we got.' I thought it was funny at the beginning. `Guys, that's kind of neat.' But when they took it, there was no intention of harm coming to it." They went to a restaurant, and set it down next to them. This would have been the 'Jazz Hof' in Itaewon. Gjertsen left first, just as Hyatt personnel arrived (who didn't notice and walked past him, since he hadn't been involved). When they saw the security men approach, Dalbey and Mangum hid the carving in the restaurant and denied they knew where it was. When the security men threatened to call police, they finally told where it was and figured the incident was over. Once Lee Joon Hyuk of the Hyatt staff arrived to claim it, and the Koreans on the scene realized that American Olympians had stolen a valuable item and were going to just walk away smiling, things got ugly. "Then the MPs walk up and say, `If you guys take this cab, you're taking your life into your hands.' So we got out. They thought we were GIs. "Evidently some Korean or some Hyatt person said `Look, these are the people who stole this, blah, blah, blah,' and a crowd gathered and we got cornered. Within 20 seconds, we had 40 Koreans who were just screaming mad. 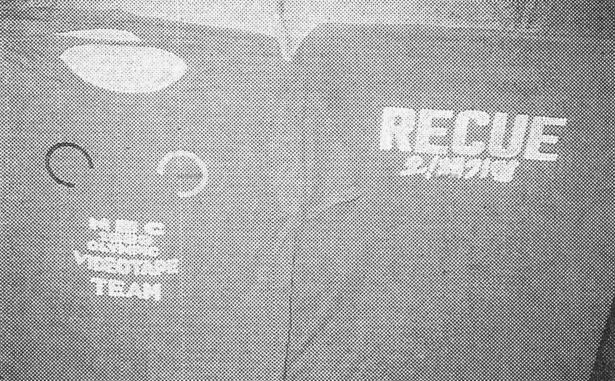 They started pushing the MPs, hitting the MPs, the MPs started pushing them back, and some of the mob got to me, and they tore off my sweater and my shirt and my ID tag." At first, they grabbed Gjertsen's sweater and pulled it over his head and had him by the arms. "They were hitting me in the face, and kicking me in the stomach and legs and hit me in the back," said Gjertsen. "I don't know how many times I got hit, but I got hit in the eye once and had a small shiner. I had scratch marks all over my back. "We finally got out of that situation, I got my clothes back on, the MPs walked us down to the police box, and we were kept there till about 6:30 for our own safety. They couldn't go back to the athletes' village. "This was already way too big," Gjertsen said. "I was scared for my life. I thought we might get bombed or get shot. I was thinking, my God, I'm going to die. I've never been that scared in my life, ever." At about 7 a.m., they were taken to the police station and met with some USOC [US Olympic Committee] officials, who had been alerted. They got out at lunchtime after being told not to make a statement to police by a USOC attorney. On NBC, host "Bryant Gumbel said we had a brawl and were fighting with the Korean police, when in reality the Korean police were behind us 100 percent the whole time, and they are one of the reasons we got out as fast as we did." He was on Korean TV constantly, "five times in one hour." He would see his face with a circle around it, or he would be shown giving his statement. The Atlanta Journal article talks about USOC's attempts at damage control. The USOC decided to kick the swimmers off the team and send them home. First they had to meet with police again, and did this from 11:15 a.m. to 5:30 p.m., the need for an interpreter doubling the time spent. "I apologized to our gracious hosts in Seoul," he said sarcastically. 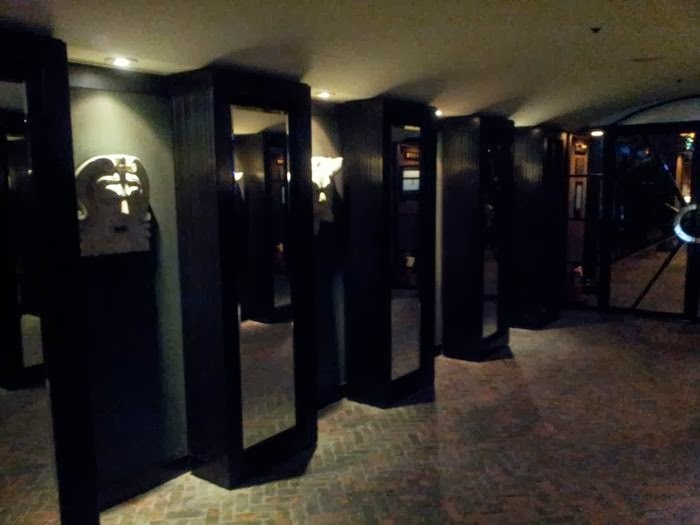 Although Gjertsen maintained his innocence, and the police investigation proved that he did not take the marble lion's mask, worth $830, from a Hyatt hotel, the USOC and U.S. Swimming, the national governing body, never issued a statement exonerating him of the theft. Gjertsen still had to face sanctions from U.S. Swimming for breaking curfew and drinking, but after his ordeal, said, "I'm happy to face that." In the mask incident [...] the Korean press and the Korean people are not quick to forgive what they see as an insult, perpetrated by athletes, by young men who should be above such hooliganism. There's more to say to about the press and police reaction to this incident (and it certainly wouldn't be the last time that media treatment of an arrest - especially of an American - would colour how his crime was dealt with) and how it "snowballed into a diplomatic incident." That's for another day, however.